I started my YouTube channel a year ago. In the time I’ve been making videos, I’ve made plenty of mistakes, learned a lot and enjoyed myself so much that today I decided to share my tips about starting a YouTube channel. Plan your videos before you make them. For my first videos I used to write a whole script before filming. I never stuck to the script, but writing it helped me know what I wanted to say. Nowadays I don’t do that, but I still write down the main points I want to make in my video and the big things I need to remember to say. Learn how to edit your videos. It’s very important to make your videos as attractive as possible. If your video doesn’t look nice, no one will enjoy watching it. Try to learn how to use your movie editing software. Learn all the tricks and make your videos as amazing as you possibly can. When I first started making videos, I didn’t take much time over the editing. Looking back on my old videos I wince at how terrible they look compared to the ones I make now. Set up your channel properly. Putting up a channel header is really easy and it makes your channel look unique. You can make headers in Picmonkey. There are some great tutorials on how to do this on YouTube. You can also make playlists of your videos. This helps showcase all your videos so that when people visit your channel they can watch all your old videos as well as your new one. Don’t be afraid to refilm. Sometimes videos don’t turn out brilliant the first time you film them. Maybe the lighting was bad, maybe you didn’t say what you wanted to say or perhaps something completely different happened. Whatever the case, it’s very easy to say that your video is good enough and just upload it as it is. It takes a lot of work to film a video and you don’t want to go through that all again. But will you be proud of that video? Will you want to watch it the future? Properly not. Refilming is annoying, but in the end it’s worth it. Try to keep your videos short. Most people won’t watch a video that’s much over five minutes along. They have a lot of things they need to do in their day and if your video is too long, it’s quite likely they won’t even start watching. If you’ve got a really long subject to talk about try, if possible, to break it up into sections and turn the videos into a series. Sometimes though, you just can’t keep your videos short. That’s alright, just try to keep them as short as you possibly can. Do you make videos? Have you been wanting to start a YouTube channel? What is your biggest tip? 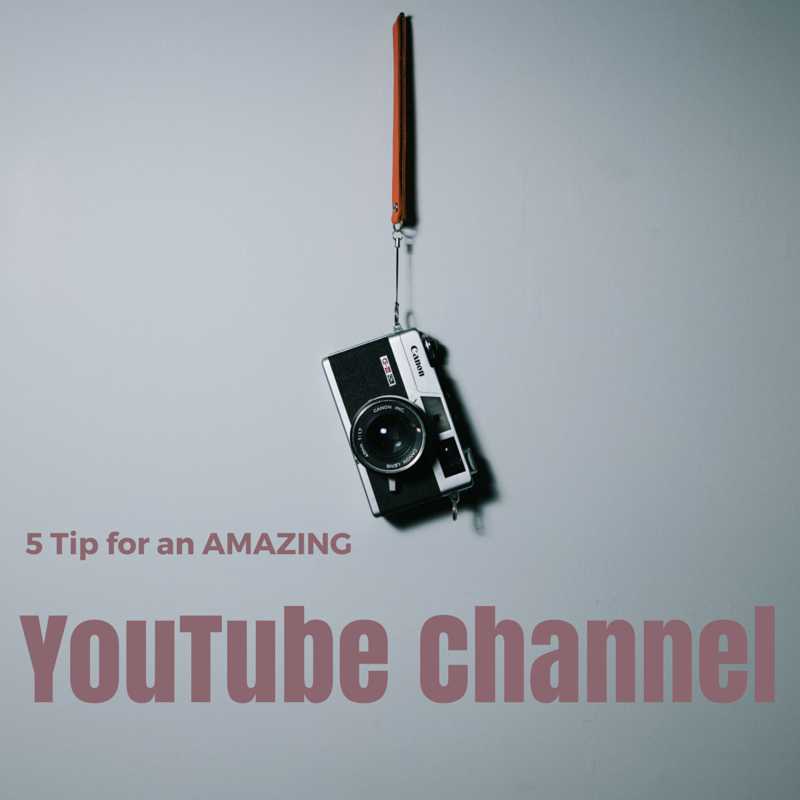 Watch out for a video on how to set up your YouTube channel! I've always wanted to know how to weave. If you end up making the video, I will definitely watch it.